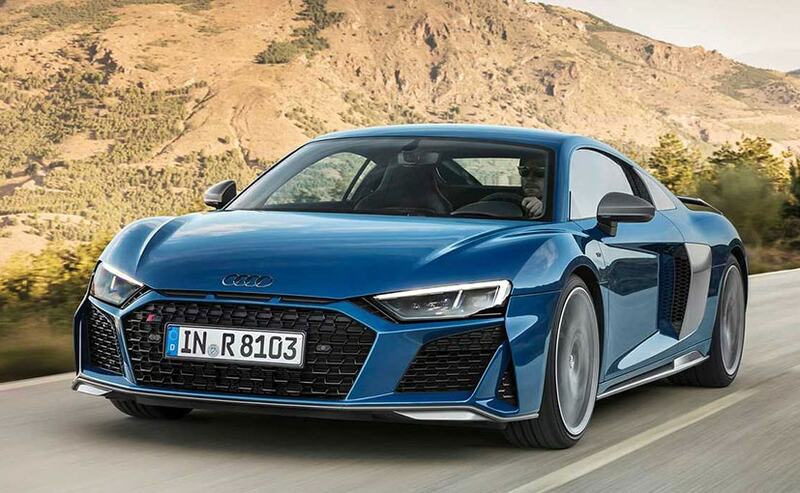 The 2019 Audi R8 boasts of subtle styling upgrades for a more aggressive appearance, while the 5..2-litre V10 has been tweaked to make 30 bhp more on the base variant. 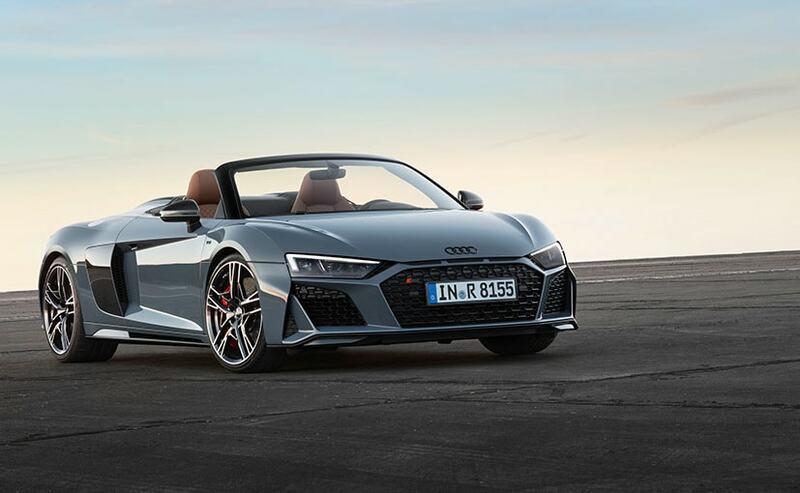 The second generation Audi R8 has reached its mid lifecycle and the Ingolstadt-based automaker has rolled out an updated version of its flagship supercar to keep things trending. This is the 2019 Audi R8 and it now comes with sharper styling alongwith more power thanks to the upgrades made to the 5.2-litre V10 engine. The 2019 R8 will be making its public debut at the Los Angeles Auto Show later this year with the complete range, while the supercar will be hitting showrooms globally early next year. The Audi R8 is sold in India as well and the updated model will make its way to the country sometime in 2019. We spotted glimpses of the changes on the 2019 Audi R8 on the 2019 R8 LMS that was showcased at the 2018 Paris Motor Show earlier this year. 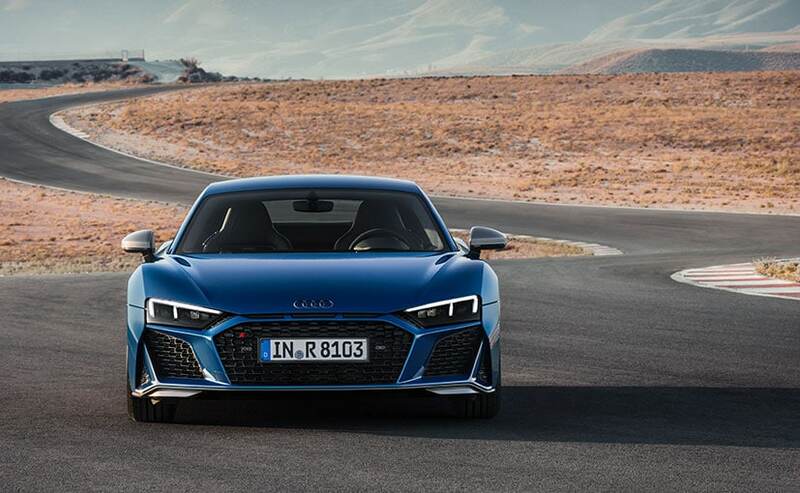 Much like that model, the 2019 R8 facelift sports a much aggressive front with a wider and flatter grille. The gap between the headlights and the intakes below has also increased, and is now more angular over the older version, adding to the agressive appeal. The LED daytime running lights have a sharper tone to it as well. The signature profile on the R8 remains the same while changes at the rear include new oval exhaust tips that are being the model in-line with other offerings from Audi Sport. There's a new rear vent as well that extends side-to-side. While styling changes are subtle, it's the heart that the big update. The 2019 Audi R8 uses the same 5.2-litre V10 which gets some stellar power upgrades. The motor now produces 562 bhp, a hike of 30 bhp in output, while peak torque stands at 550 Nm, as opposed to 540 Nm currently. The Audi R8 V10 Plus, which is the range-topping version has now re-badged as V10 Performance Quattro and get a modest hike of 9 bhp, up to 612 bhp. That said, the base R8 V10 can do the 0-100 kmph in under 3.5 seconds, while the Performance variant is capable of hitting the same in at 3 seconds flat. Changes have also been made to the suspension and power steering for improved stability and precise feedback. There are new 20-inch light alloy wheels as well as an option to the standard 19-inch wheels, while the 2019 R8 can be had with carbon ceramic brakes too. Lastly, there are two new colours added to the list of options while there are a packages that enables different accents to be added to the front splitter, side blades and rear diffuser.